The fireplace is up and running! What a wonderful feeling to not only see the beautiful gold-orange glow but to feel the warmth that emanates from it. Our family room has so many windows that make the room colder but when the fireplace is on — well, it warms me through and through like cuddling in a quilt. We are on the hunt for window curtain panels but haven’t been able to find the right color that matches our yellow and bluegreen walls. Tomorrow I’ll be heading to J C Penney and possibly Ikea to check out what they have. The room is tall so we need extra long panels. I’ve tried ordering them online (through Penney’s) but can’t quite get the right color so wind up returning them locally. But that is tomorrow’s problem. 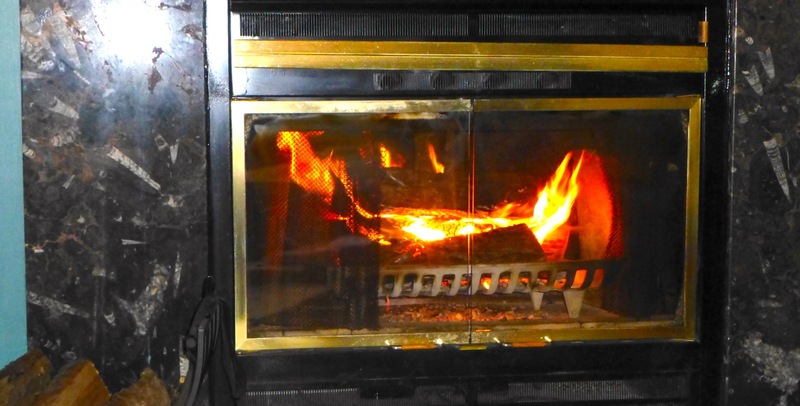 Today I’ll enjoy the warmth that is reaching out to me from the fireplace.